Local time: 20:15 SINAN ERDEM DOME. 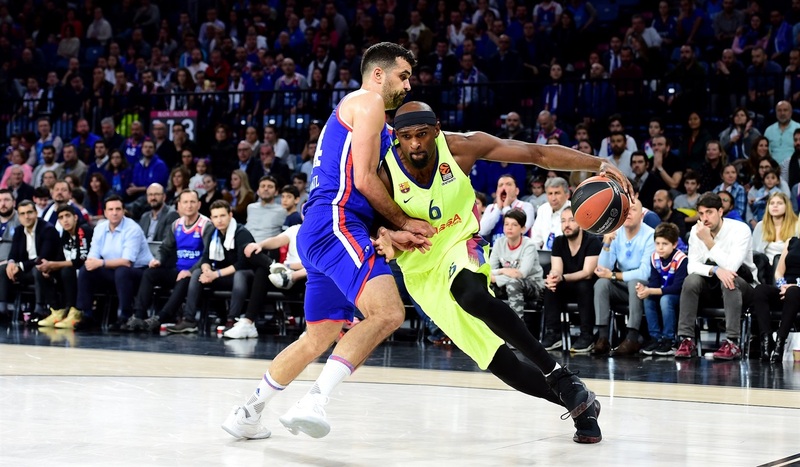 FC Barcelona Lassa levelled its series with Anadolu Efes Istanbul by snatching a 72-74 victory in an incredibly tight and tense playoffs battle at the Sinan Erdem Dome. 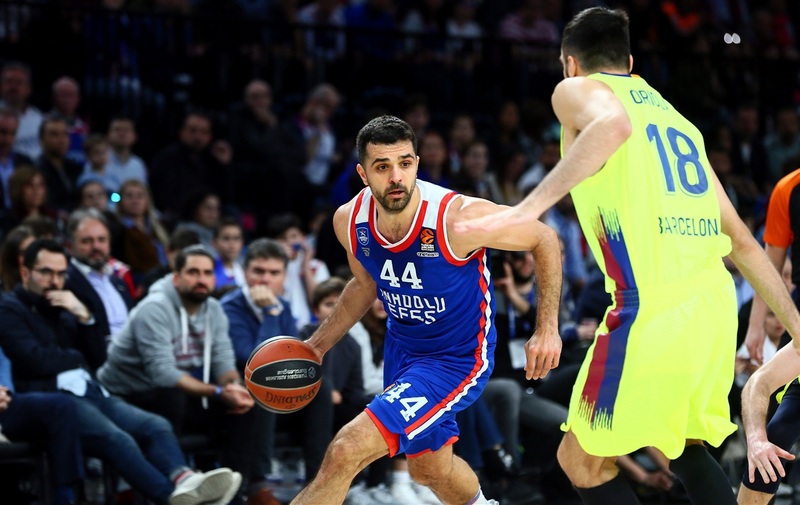 The lead swung back and forth throughout, with Barcelona leading by 9 in the second quarter and Efes up by 7 in the third, but the outcome was eventually decided by Adam Hanga’s driving lay-up off the glass with 28 seconds remaining. 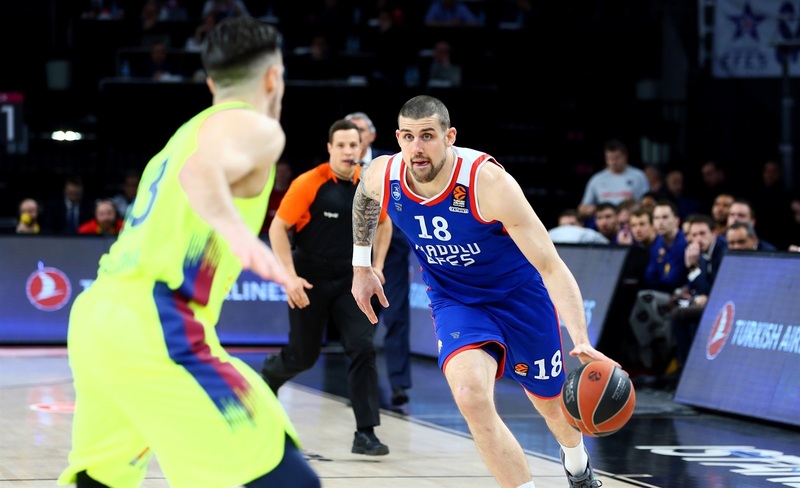 Hanga led Barcelona with 17 points on 3-of-5 three-point shooting, and received support from Ante Tomic with 13 points and Thomas Heurtel with 12. 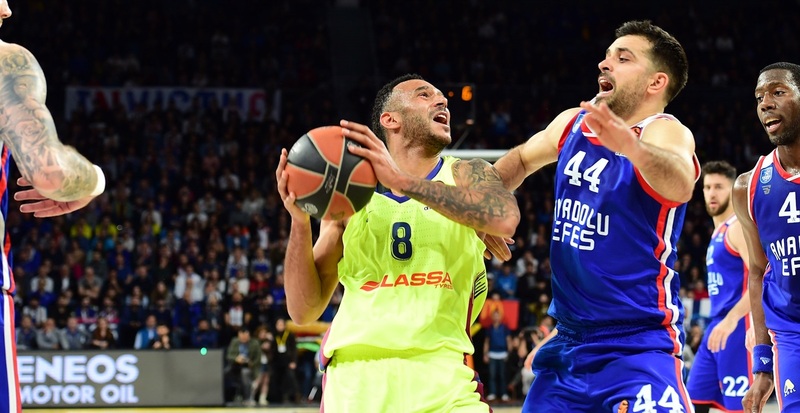 Efes playmaker Shane Larkin led all scorers with 18 points, and Vasilije Micic added 15. Krunoslav Simon scored 14 and Adrien Moerman netted 11 against his former club. 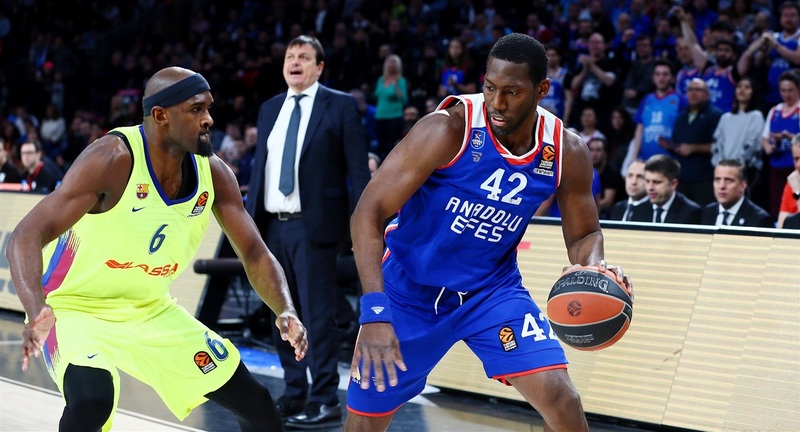 Jaka Blazic and Victor Claver drove to give the visitors an early lead, but Simon netted twice in a 7-0 run to send Efes ahead. Bryant Dunston and Tomic scored down low and the game was tied 11-11 after 6 minutes, before two baskets from Hanga and a three-point play from Dunston made it 16-19 at the end of the first. 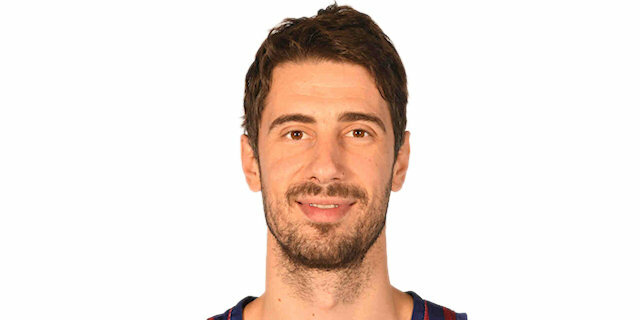 Barca started the second quarter strong through Pau Ribas’s mid-range jumper and Kevin Pangos’s triple, and an off-balance basket by Hanga made it 20-28. An alley-oop from Tibor Pleiss helped bring Efes closer, before two baskets from Micic pulled it back to 30-30. 5 fast points from Heurtel restored Barca’s lead, and free throws made it 34-38 at the break. 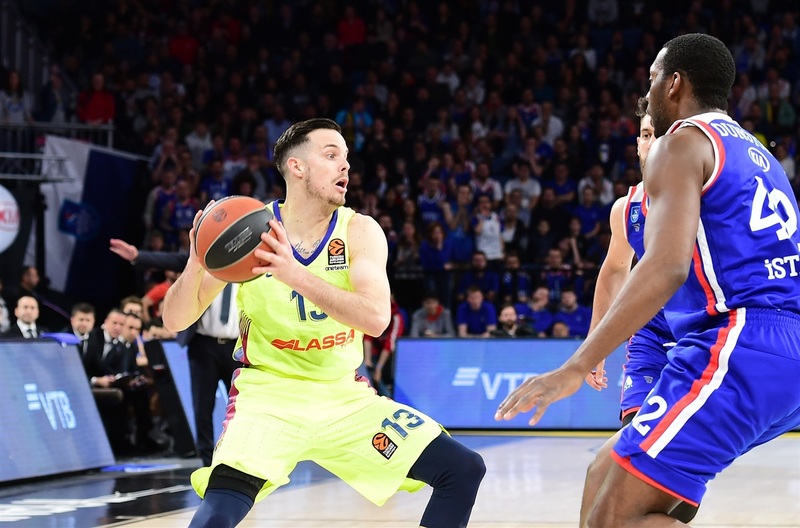 Tomic opened the second half scoring inside, but Larkin made consecutive steals and scores to spark Efes, and Simon scored 8 quick points including back-to-back triples to send the hosts ahead. 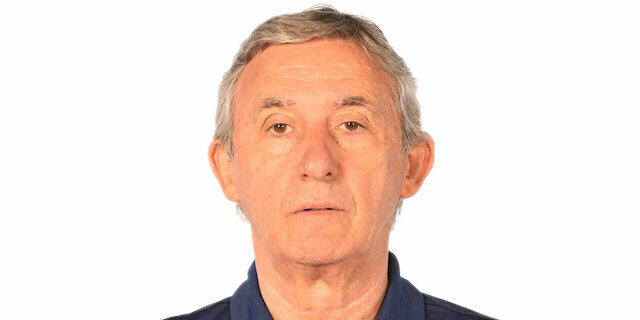 Moerman’s three-pointer completed a 9-0 run for a 49-45 lead, before Tomic revived Barca with a left-handed hook shot. Larkin struck from deep, but Heurtel scored twice and Chris Singleton made a triple to keep the visitors close. 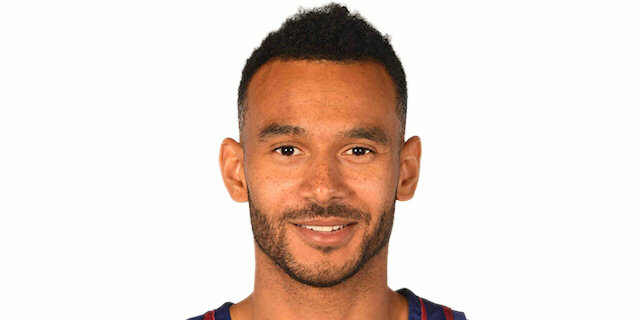 Larkin and Hanga both converted from long-range, and a Roland Smits triple helped send Barca ahead, 59-62, at the end of the third. Neither team could score in the opening 2:30 of the final period, before Hanga and Pangos scored from long-range to make it 61-68. 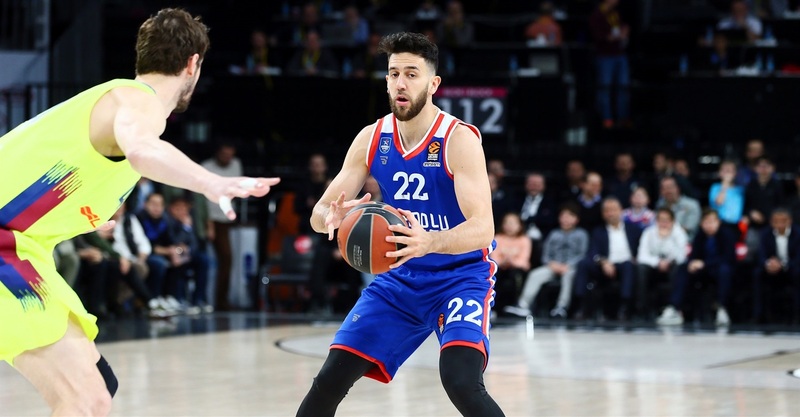 The visiting team’s defense held firm and Heurtel struck from deep, but a triple from Micic restarted Efes and Moerman’s runner followed by Micic’s three-point play made it 72-71 with 3 minutes left. After nearly two minutes without scoring, Tomic split free throws to tie the game. 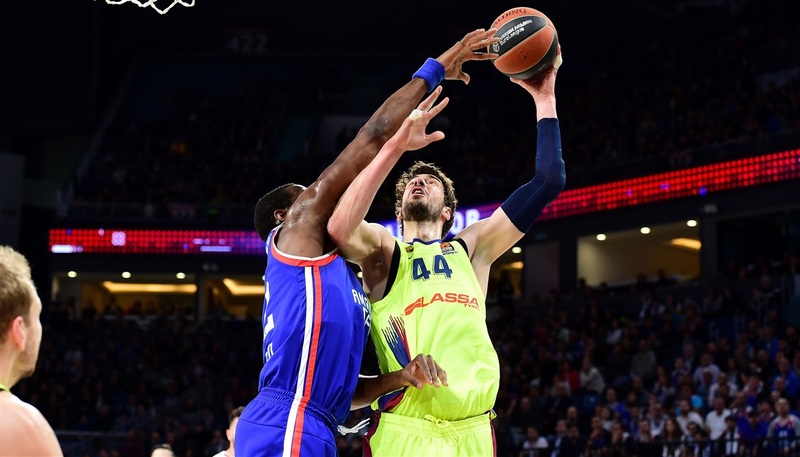 Hanga drove to lay-up for the lead, and Efes could make nothing of its final two possessions. 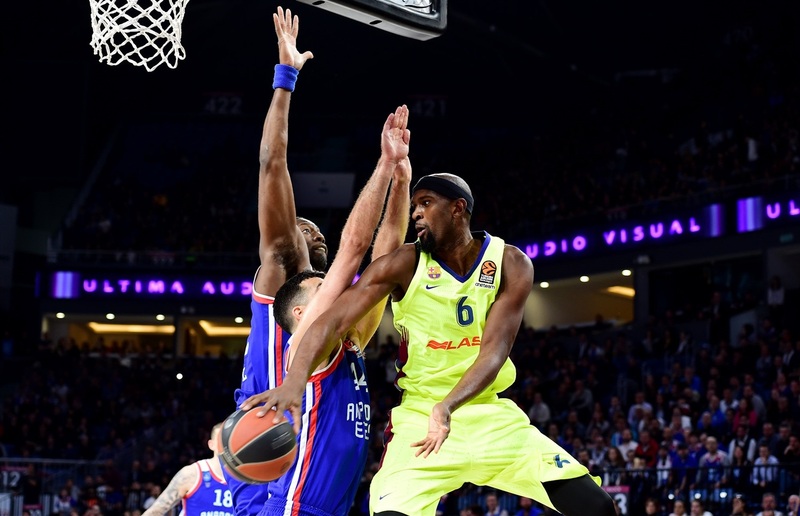 Barcelona’s intense energy was epitomised from the opening tip-off by Jaka Blazic, who drove to the basket to score the first points after just 5 seconds and then made a steal on Efes’s first possession. 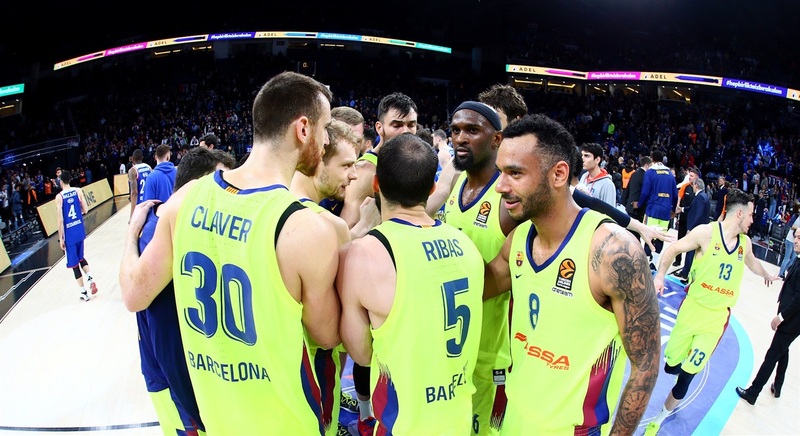 The visiting team’s physical efforts were also reflected in the rebounding stats: Barcelona won the battle of the boards 30-36, only allowing Efes to claim 1 offensive rebound in the first half. The visiting team’s excellent defense also limited Efes to just 12 assists. Both teams focussed their offensive efforts inside during the early going. Only 2 three-pointers were scored during the first quarter – one apiece from Krunoslav Simon and Chris Singleton. 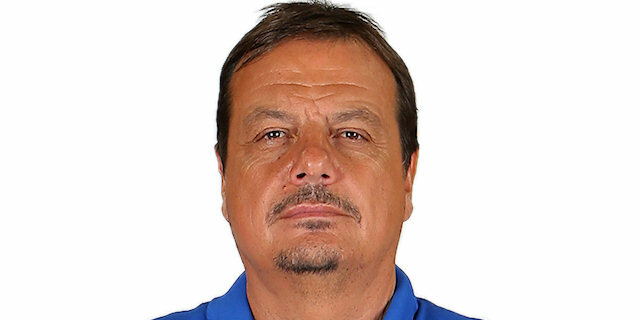 Efes looked for deep shots much more in the second half, netting 4 in five minutes at start of second half after making only 3 in the entire first half. 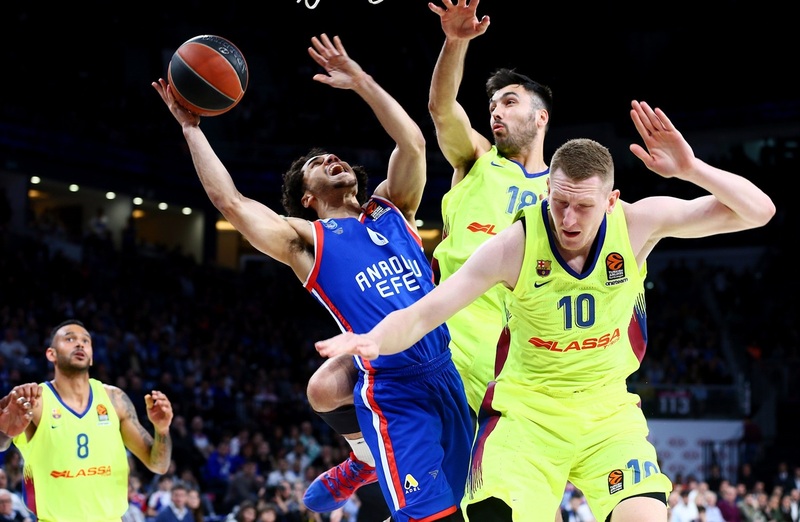 Barca’s defense stood strong when it mattered the most: Efes only netted free throws in the opening 5:35 of the final quarter, and didn’t score at all in the final 3 minutes of the game. With the series now tied at 1-1, the action now heads across the Mediterranean to Barcelona, with Game 3 scheduled for 9pm CET at Palau Blaugrana next Wednesday, April 24.